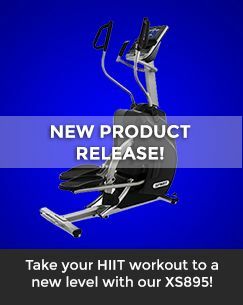 The MDC-1014 Multi-Hip is a commercial quality total hip training machine used to tone, strengthen and shape the thighs, hamstrings and glutes. It is built on a commercial grade infrastructure from top to bottom for maximum performance, stability and safety in commercial gyms. Its frame is constructed from heavy-duty 11-gauge carbon steel that provides the housing for the 200 lbs. steel weight stack and the base for the user platform. Fully welded ballet bars with non-slip foam rubber grips are located on each side of the user for stability when performing any one of the four Total Hip Trainer exercises. The leg roller carriage is adjustable in different heights to accommodate any size user for proper positioning. The 150 lbs. 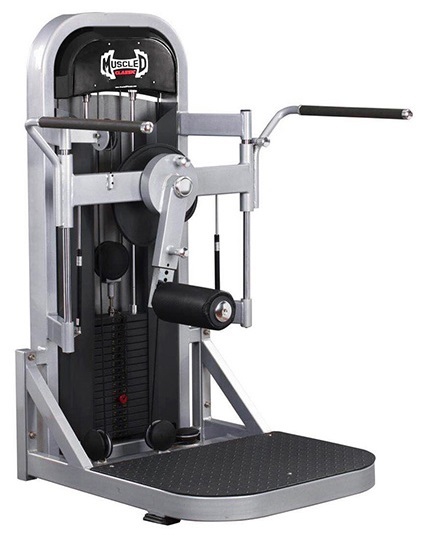 steel weight stack is adjustable in 10 lbs. increments and travels on two polished steel guide rods driven by 2,000 lbs. steel cable and nylon pulley wheels with sealed ball bearings. The MDC-1014 Multi-Hip offers the smoothest performance and is very effective in providing results when training and rehabilitating the lower body. · Unit Weight: 624 lbs.